Gone are the days when housewives were just limited to the kitchen. Now in this 21st century, the women are true lovers, housewives, caretakers, home ministers and a lot more to add to the list. Along with this, they are also using technology to stay updated all the time. Even if they want to learn any recipe, they are making use of YouTube to see the videos. My mother does that! Now as the women have so much to do, they are now less dependent on husband these days. In order to be more independent, there is digital marketing course for housewives which they can do and start a venture of their own. Digital marketing training for housewives is something that they should be learning. I always say one thing that a woman is the most hardworking employee from the rest. This is because homemaking itself is the biggest job in the world. So a woman or a housewife just cannot be underestimated because she looks after home. If she is not looking after the home, then who else will do this job? But then again, a woman today has her dreams that she wants to fulfill, but as she has to look after the house, she cannot give much time to her profession. So in this case learning digital marketing and starting something from home remains the only ideal option for the housewife. Digital marketing course is of low investment. If you want to start your own venture, then investing around ₹18000 to ₹30000 in a course is nothing. After the completion of the course, you will be having your own website and you would be on your own earning good income every month. So practically seeing the amount is nothing as the business is going to last longer. Online is the new thing today and if you are starting off with an online business, say a blog or affiliate marketing or a digital marketing website, it is never going to fall short. You will always keep up with this kind of business. So being a housewife, if you are investing in a digital marketing course, then do not worry, the investment to start a business is just minimal. Being a housewife, you have several things to do. Cook food for the family, take care of the kids, do groceries and a lot of other things. So in this case, even if you are having a job or a business, it would be difficult for you to take time out for work. If you are learning digital marketing, then you will be able to work at your convenience at any time. For example, if you are having a blog, then you can write it at any time when you are free from your daily errands. So you not bound to anything when you have a business that is at your convenience. You baby wants to go to the garden, no worries, you can write the blog at night as well. When you are having an online business, you are your own boss. You don’t need to report to anyone for anything. You can do everything at your ease and like I said in the above point at your own convenience. This way, you will be able to put more efforts in your work because you are not having any kind of peer pressure. This makes the life and work easy at the same time. Digital marketing as we all know is a trending profession. Every brand today is turning towards it because the audience is there on social media website like Facebook, Instagram, Twitter. So in this way, the brands are getting a wider audience just at one place by posting updates on these social media websites. So the profession is no doubt having a boom and you can surely succeed in here if you get the proper training. Yes, you heard it right. Doing a course in digital marketing can open up a lot of freelancing opportunities. You can write content for others, do social media marketing, website development, graphics designing to name a few. The companies these days are having a lot of demand in all these areas and they prefer freelancers these days. 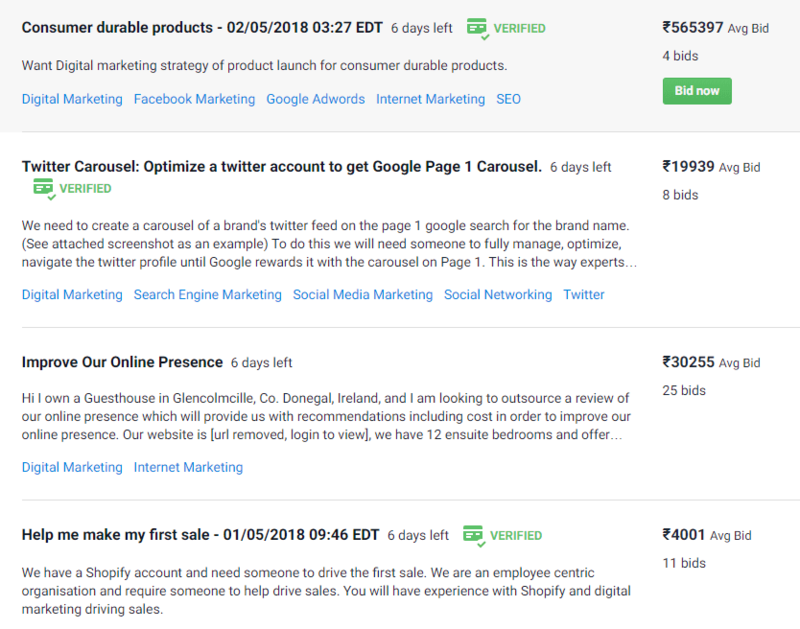 So if you learn digital marketing, then you can become a freelancer as well which again makes you work at your convenience. Anything in this world, if taught in a proper manner is easy to understand. And same goes for the digital marketing course. All you need is a good mentor who can teach you the basics of digital marketing with the utmost ease. So do not hesitate and think about the obstacles that you are going to face. Nothing is complete without the obstacles. So be bold and step out to learn something new. If you are getting a good mentor than be sure that you will be able to understand everything properly. The best part about learning digital marketing is that you can work by sitting at home. And being a housewife, there’s nothing delighting than the fact that you can earn a good amount of money from your home simultaneously looking after your family. So learning digital marketing is anytime a convenient and right option for you as you will not leave behind any of your household responsibility and you can work in your free time as well. You must be having a dream to work or start something on your own. So this is the time for you to step up and learn digital marketing so that you can chase your passion. If you are good in stitching clothes, then you can open up a small online store and market your products in the best possible way. If you are passionate about scribbling then you can start off with your own blog. So basically, there will a wide range of avenues opened in front of you once you learn digital marketing. So all you have to do is to go for it. Digital marketing is right now the king of the ocean, and if you want to swim and win the race, you must follow the king. And being a housewife of this technological era, you have got a lot of things to explore and implement. This is your time to chase what you want to achieve in your life and if you are passionate about it, no one can stop you from getting it. All the best!